Finding Rover for lost and found pets – free! In the event of a hurricane, tornado, flood or other natural or man made disaster, Osceola County Animal Services reminds pet owners that, if it isn’t safe for you and your families to stay home during a disaster, its not safe for your pets. Families should have a disaster plan in place for themselves including pets in case of evacuation. It is best for families to not rely on our pet friendly shelters, rather to plan in advance to take the family and the pets to a location outside of the threatened area. However, if no other options exist for the family, the shelters will serve as a place where pets and their owners can be housed in the same facility, though not the same room. View maps to the pet friendly shelters in Osceola County. A crate to house the pet. It should have enough room for the animal to stand up, lie down and stretch. A label on the crate with the owners name and phone number is mandatory. Any animal medications in waterproof bag. Food (for at least three days) in a waterproof bag or bags. Water and food bowls, blankets and toys. Cleaning supplies, including paper towels, spray bottle and trash bags. Veterinary records for each pet in an air tight bag. Photo of your pet or pets. It is recommended that all items are stored in plastic bags inside a plastic tote container. Below is a video created by Osceola County Animal Services to help citizens prepare their pets for hurricane season. Recommendations for livestock include making sure fencing is secure. Although it is always possible for trees and other debris to damage fencing, you want to be sure prior to any event that your fencing is in good repair. Fill up all water troughs to capacity so your livestock don’t run out in the event you lose power, water, etc. Fill up extra buckets, canoes, etc. so your animals will have water to last for days. 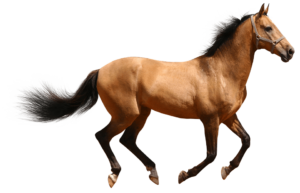 While every animal is different, the typical recommendation for flight animals, horses, is to leave them loose in pasture with shelter available. If they want to go into the stall, they can. Being locked in a stall may cause the horse to become overly frightened during high winds and rain resulting in attempts to escape, injury and death. We recommend that pet livestock be micro-chipped. Ask your veterinarian about having your horses and goats chipped.